The dates for our VBS have changed!! Due to the road construction takin place in front of our church, we are changing the dates for our Vacation Bible School to Monday, July 30 – Thursday, August 2, 2018!! You will not want to miss this great event, so mark your calendars now and bring your kids, grandkids, and neighbor kids! 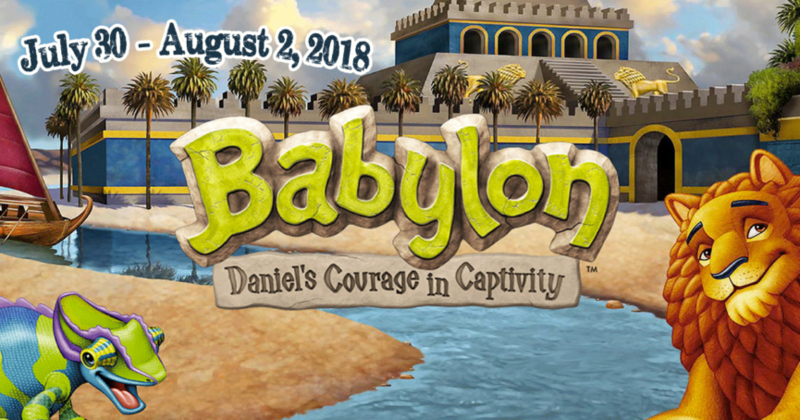 We will be learning all about Daniel’s captivity in Babylon, doing crafts in the market place, learning about foods of the Bible, playing games, and much more! We hope you can join us! Kids age 3rd – 5th grade are welcome, and older kids are welcome to come and be helpers! VBS will take place at Lakeway United Methodist Church, 15015 N SH 289 in Pottsboro, just north of Brookshires. You can call our office at (903) 786-2138 to pre-register or you can register at the door! So, come on out and learn about Daniel and his courage in Babylon … What a great way to end the summer!